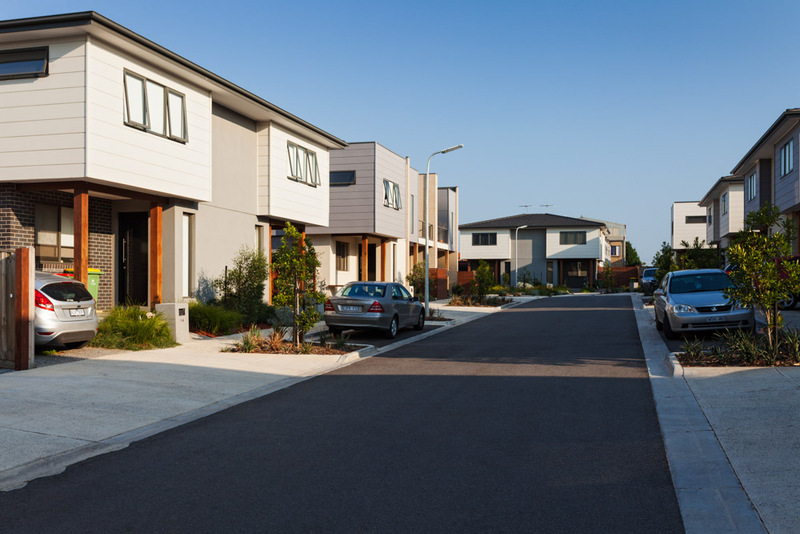 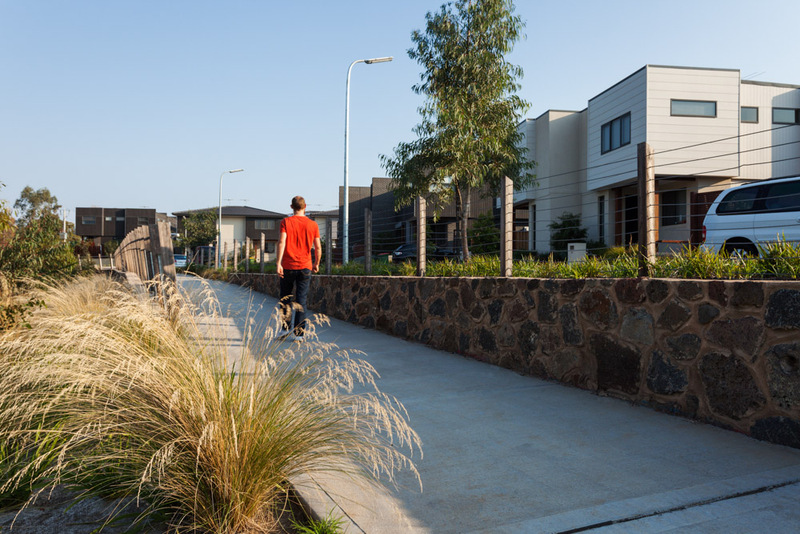 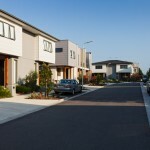 Canopi is an award-winning development in Footscray West which set out to transform disused industrial land into a medium density residential precinct. 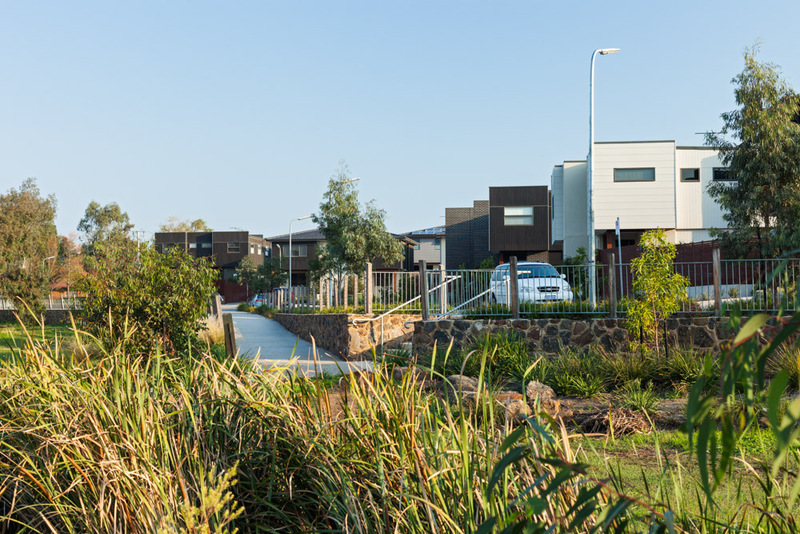 Urban Initiatives role included site investigation and master planning, preparing the town planning submission, assistance with the production of marketing material, project design and documentation, tendering and contract administration. 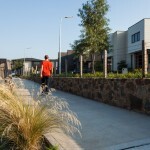 The project aimed to foster a strong sense of community which meant creating streetscapes and open space that cater to the needs of both the immediate residents and the wider community. 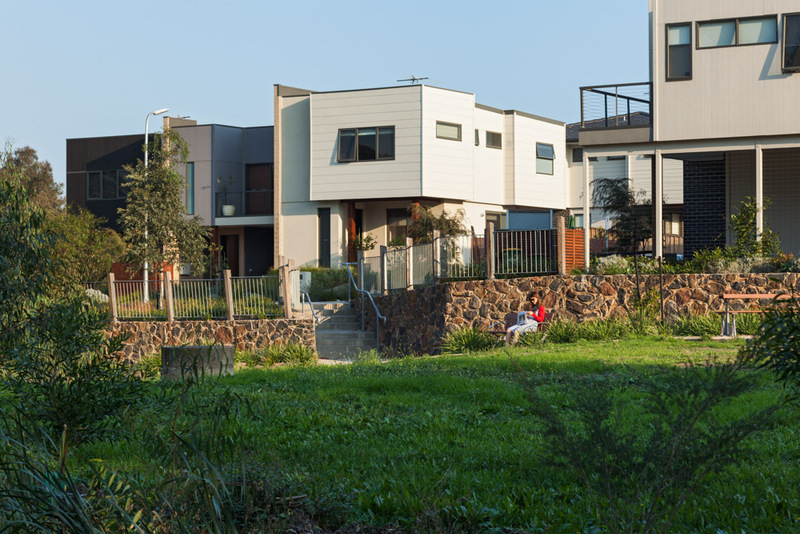 The Stoney Creek floodway, previously a weed-infested grassed drainage channel, was re-conceived as public open space with a new a shared pathway connection and indigenous plantings to screen and frame the views. 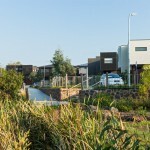 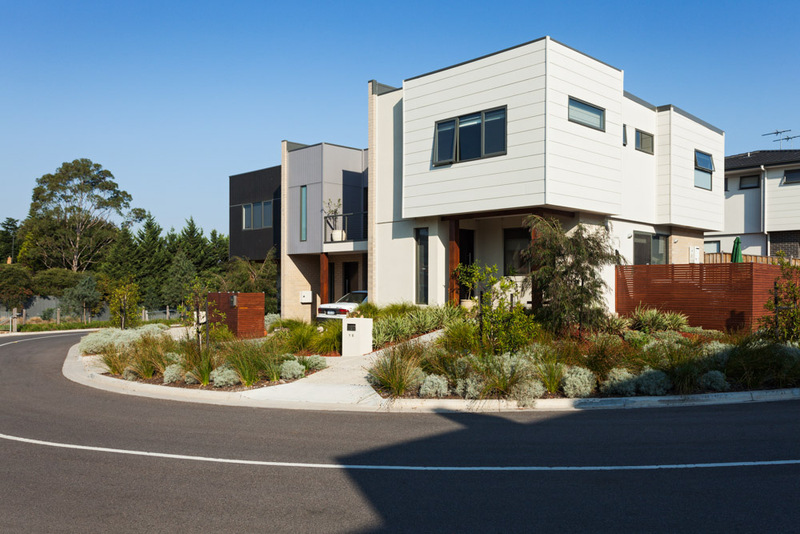 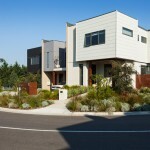 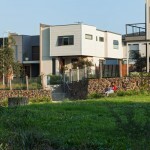 The design process included close collaboration with Melbourne Water and Council to ensure that the landscape met both the environmental requirements of the floodway and local community needs. 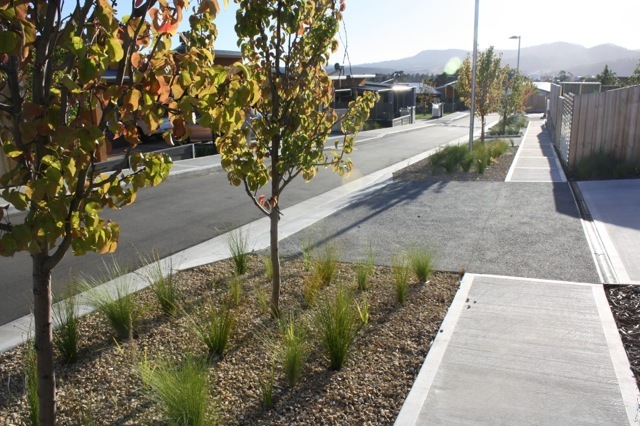 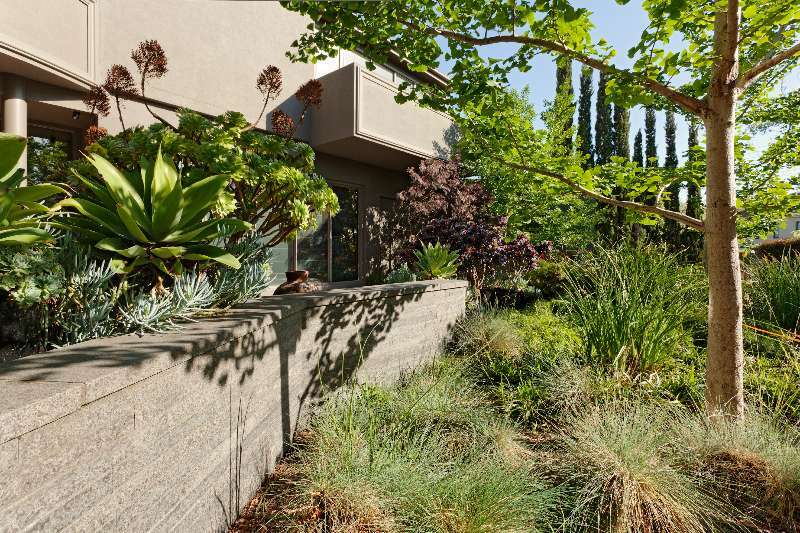 Streetscape plantings include an array of bird-attracting trees, shrubs and grasses, fruiting trees and herb garden edge boarders, all designed to engage the residents and promote the shared use of public space.